and Jay Rosensweig, founder and owner of Weekend Dating, are the only speed-dating services on Long Island. Although Rosensweig also competes directly with roughy a dozen services in New York City. 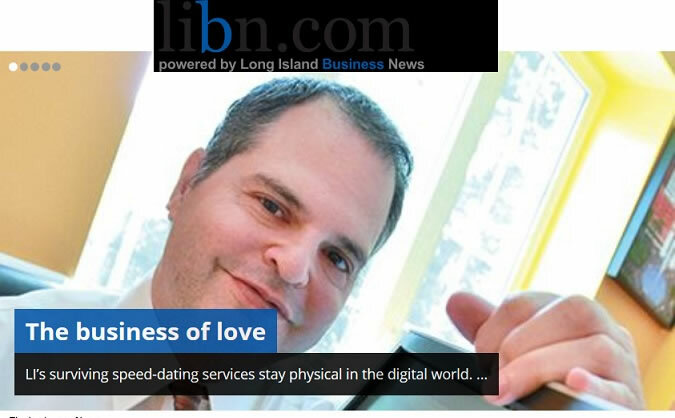 Rosenzweig, who held his Rest event on Valentine's Day 2003 said several speed-dating services have ventured onto Long Island, even national companies such as 8 Minute Dating. But they typically depart or dissolve within months. "Most companies made or make Long Island an afterthought while the city is their primary focus." said Rosensweig, who lives in Bayside. "My focus has always been on Long Island and the city is the smaller piece of the puzzle." Perhaps the larger question is how speed dating, a service that emerged during the late 1990s, has weathered the popularity of Match.com and other dating sites, as well as Tinder and other dating apps that are the latest rage ... and Rosensweig believe speed dating has endured as one of several legitimate options to meet potential mates because it brings people out from behind the personas they create in the digital world. Participants attend events held at restaurants and hotels across Long Island, where they sit for a series of 'dates' that last a few minutes. Then, typically the man rotates and sits down with the next woman - usually 10 or more an evening. 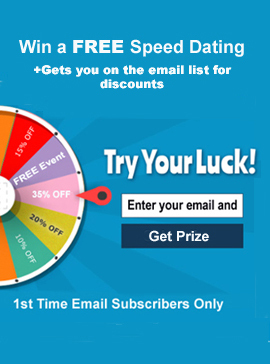 "There's nothing like sitting down, being face to face with someone and cutting to the chase:", Rosensweig said of the speed-dating experience, "People who have become disillusioned with online dating and apps look at speed dating as another avenue to try, and they have actually helped it to grow." While he holds dates for men and women in the same age brackets, with most people attending the 44-to-59 events, Weekend Dating allows staggered age brackets, with the women usually a few years younger than the men. Both services also host a variety of interactive activities for singles of all ages, including bowling, dancing rock climbing and boat cruises. Both owners cite barbeques as their most successful events. in terms of consistently drawing many attendees - usually a mix of men and women from millennia's to baby boomers. Rosensweig, who is single, works as a corporate researcher when he established Weekend Dating, operating as a one-man army for several years as he grew It business. In 2008, when he went to hosting about four to six events per month, he started to hire people as freelancers to help him organize and run events Now, six people assist him regularly. And therein ties his greatest challenge: finding assistants he can trust to run his events, especially as he begins to expand into other regions. Including Connecticut and averages 12 events monthly. "I still have to make sure that I have the right staff that are running the events properly, but also that they're following my "System" that allows the business to be successful and run itself", he said.